Slides (PDF) from Day 2 lecture. 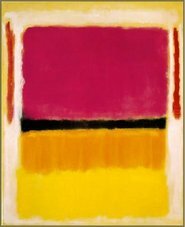 Examples of controversial art abound: Andy Warhol’s soup cans, Mark Rothko’s panels of color….even Monet’s impressionist sunrise, a painting that can now be counted among the most highly valued in the world. When they appeared, these works were met with skepticism and passionate criticism. Over time they have proven to be meaningful expressions that inspire and inform other artistic efforts. Discovery science is driven by a desire to understand, describe and sometimes improve the living world. Research is celebrated if it reveals some fundamental truth, if it connects facts in surprising ways, or if it harnesses the machinery of living organisms to meet a generally agreed upon goal. A particular set of discoveries may inspire and inform future work, and it’s essential that any reported data be reproducible by others. However, scientific advances are not evaluated on their artistic merit; arguably they could be. Like art, there is no requirement that science be performed in standard ways or with established protocols, beyond what is enforced as ethical and safe practices. Each scientist brings their own touches and experiences to their work doing even commonplace experiments in their own fashion. In this way, art and science are similarly personal endeavors, doing what it takes to meet an immediate end and not prioritizing the means. There is a cost to this approach. In general, considerable efforts underlie scientific discoveries. The “repressilator” plasmid shown above took years to design, build and test by one of the world’s foremost biophysicists. Still more effort would be required to modify it significantly in the service of new questions. Science, when pursued as an artistic effort, constrains and slows others who might want to capitalize and build on a given system. Perhaps some uniformity would make each person’s work more generally useful, but how can biology be “standardized” given the diversity of the living world and the range of approaches to understanding it? Knight, T., Idempotent Vector Design for Standard Assembly of Biobricks. Unpublished, MIT 2001. The details of the standard assembly will be addressed during today’s lab, when you will plan the assembly steps for the protein generator that you designed and specified last time. 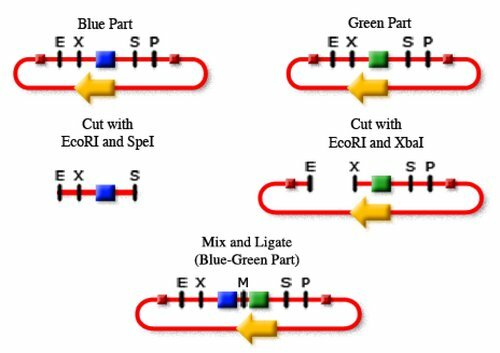 Standard DNA assembly is just one example of a helpful foundational technology for engineering biological systems. Other standards that we’ll consider during this experimental module include standards for operating conditions, characterization of parts and rules for composition. With these goals in mind, you’ll begin characterizing the bacterial photography system, measuring its output (beta-galactosidase) under standard operating conditions and then testing the “biofilm’s” resolution by taking a picture. 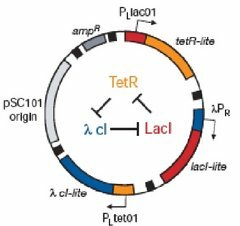 be devoid of all four sites within the part, using site-directed mutagenesis to introduce silent changes to the sequence as needed. Once you are confident in the steps used for standard assembly, please fill in the following strategy for constructing the protein generator you designed and specified last time. A template is offered for the first few steps of the assembly process but it is likely you will have to extend or modify the template to fully describe your assembly. Ligate, transform, pick candidates into liquid culture, miniprep. Then check your assembly via digestion. Call the construct BBa_xxxx and enter it into the Registry as an assembly intermediate. Once you have finished planning the assembly, consider how long it would take if everything went perfectly at each step. You can assume that the digestion, ligation and transformation can be done in one day, the overnight cultures of candidates requires one day more, and the miniprep/digestion/diagnostic digests takes a third day. You can choose to work weekends or not but be sure to indicate that decision in your answer. "Black box" depiction of bacterial photography system. This figure is more detailed but harder to decipher without prior understanding of several aspects of the system. For example, light at 660nm is detected by the input-sensing device, turning it off. Light-sensing requires the combined action of two sets of proteins: Cph8, itself a fusion of a light-sensing protein called Cph1 that comes from an algae attached to a transmembrane signaling protein called EnvZ, and phycobilin producing proteins that generate accessory pigments needed for the light-sensing protein to work. The input sensing device generates a signal within the cell’s osmoregulation pathway (OmpR is the signal carrier), changing the activity of an OmpR regulated promoter that is directing transcription of the output: lacZ….whew! The black boxes were a whole lot easier. You should review the procedure for beta-galactosidase assays that you performed during the Protein Engineering module at assessing beta-galactosidase, then perform assays on your overnight liquid cultures that were grown in the dark and the light. Activity calculations for these samples will be part of your assignment for next time. Retrieve the Petri dishes you set up last time and compare the appearance of the light and dark grown samples. Because the dark grown cells were in a completely dark box, the difference between the two plates is the greatest contrast you can expect in your bacterial photographs. Media containing S-gal is available for you to supplement with antibiotics and cells as you did last time. Next decide what image you would like to photograph. Generate a computer file with this image and print it to a transparency. Transparencies will be available in the lab for you to use as masks, taping them to the back of the Petri dish before incubating. The goal is to have each cell growing distinctly in the light or dark, but be sensitive to the fact that light can bounce around and can blur the resulting image. As much as possible you want a setup where light hits the cells then continues through as little agar as possible, then hits black background and dies. In general, it’s better to have a dark background and a light image rather than the other way around. To darken the dark parts of your photo, you might want to print it on two transparencies and use them both to mask your Petri dish. Part of your time in lab today was dedicated to planning the assembly of your protein generator and calculating the time associated with this construction. Now consider the option of calling Prof. Endy’s company, Evil Co., to have the DNA synthesized one base at a time. You send them the sequence they send you the plasmid…all for only $1/base pair, delivering the DNA to your mailbox in 4 weeks, give or take two. For next time, calculate the cost of synthesizing your protein generator from scratch, assuming you’ll ask them to make only the protein generator itself and then clone it into some inhouse plasmid they provide for free. If you were running a lab, which option would you pursue (direct synthesis or standard assembly) and why? Be sure to consider time, effort, cost and likelihood of success as you make your choice. Calculate the beta-galactosidase activity associated with the light and dark grown cells. Hand in your raw data, the calculated activity and a graph comparing the measurements you made with similar ones that have been published URLPDF reprint. Try to explain any differences you see in the measurements you performed and the published ones. write an "elevator pitch" of your system. This amounts to a four sentence description of the major goal(s) and the clever idea you've come up with. specify what cell type you'd like to program: bacteria? yeast? plants? mammalian cells? say what your cells will do: build something? create a pattern? record or process information in a useful way? convert chemicals to energy? Remember you will have to understand and plan your idea in sufficient detail that you can specify a part for it, though this is not required until later. This page was last edited on 11 April 2006, at 02:49.